It’s that time of year again when love is in the air and on everyone’s minds! We “love” married Life Live because it gives couples a chance to connect with others in a fun and interactive way. There’s always music, food, and even a guest speaker. 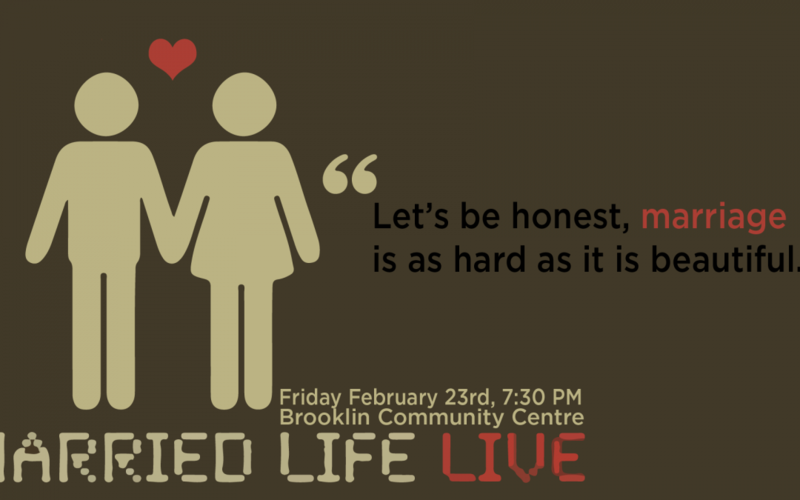 This year on February 23rd we’re back to the Brooklin Community Centre. Be sure to sign up and let us know you’re coming! Who are Charlie and Becky? Charlie & Becky have been married for over 30 years. They’ve been through ups and downs, but have always relied on their marriage as a source of strength. We’ll be hearing some thoughtful advice and encouragement that’s emerged from their story and experience. Charlie & Becky have four children, their eldest passed away in 2003. They currently live in Stouffville and are lovingly serving their community and local church there.